It was a stormy, rainy, dark night in Eureka, on California’s rugged northern coast. Imagine a turbulent medical emergency airplane flight where skill and trust between caregivers, pilot and patient become the threads weaving together to safely bring a very sick young woman to a surgeon who will help deliver her from continued suffering. It was just a remarkable flight for me to be a part of, as well as making a difference for this patient. 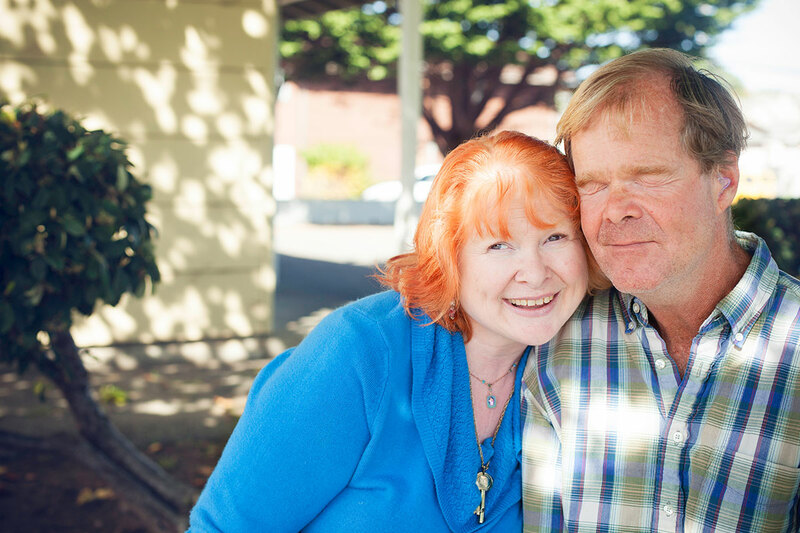 One of Karen’s greatest gifts is her seeing-eye dog and constant companion, Dotty. After falling down a couple sets of steps, it dawned on Karen she might be eligible for a trained canine friend. Inquiring with Guide Dogs for the Blind, she discovered she was indeed a candidate. Thus Dotty came into her life. Sitting next to Karen in the REACH air ambulance, the black Labrador/Golden Retriever mix assisted the flight crew with keeping Karen calm in spite of her pain and the bumpy weather. Karen and her husband, Eric, are always there to support each other.